Today we celebrated World Book Day and dressed up as our favourite book characters. 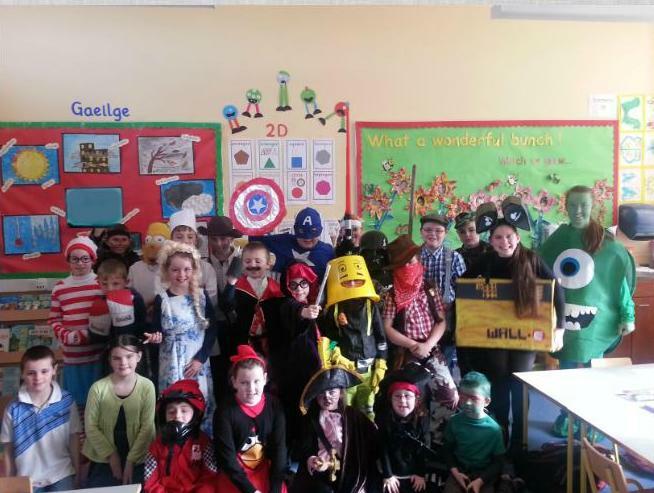 A lot of effort and creativity went into making our costumes and we had a lot of fun wearing them! 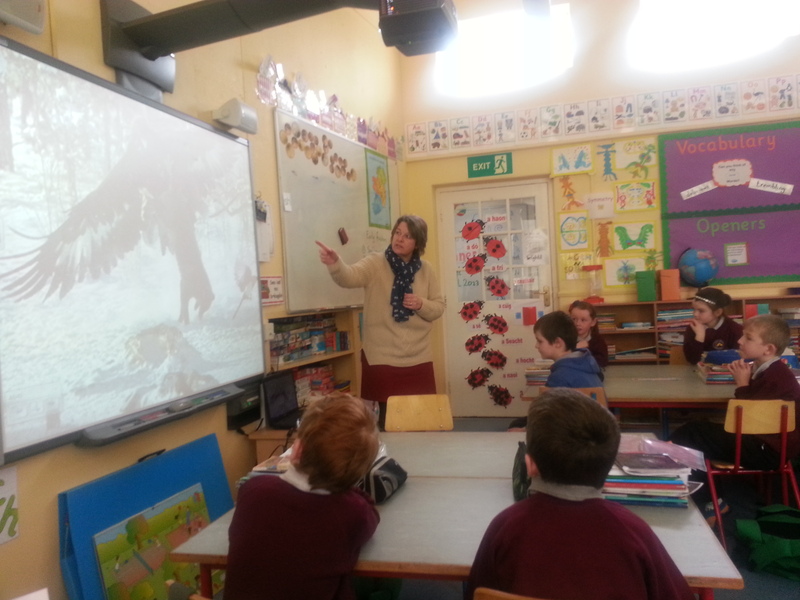 We linked all today’s lessons to World Book Day and had great fun in art making “Gruffalo” masks and designing book marks. 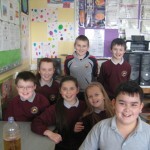 Check out our wonderful costumes!! 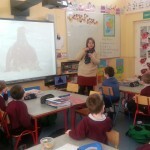 Last week Orla, a past-pupil of our school, visited us to tell us all about her amazing 3 month adventure in Africa. 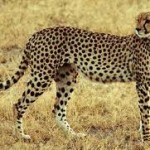 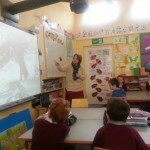 She showed us beautiful images of Africa and shared some interesting facts and stories with us. 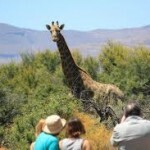 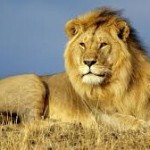 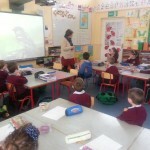 We learned all about African Elephants, Lions, Giraffes and other wonderful animals. 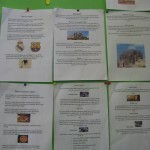 We really enjoyed learning about Africa! 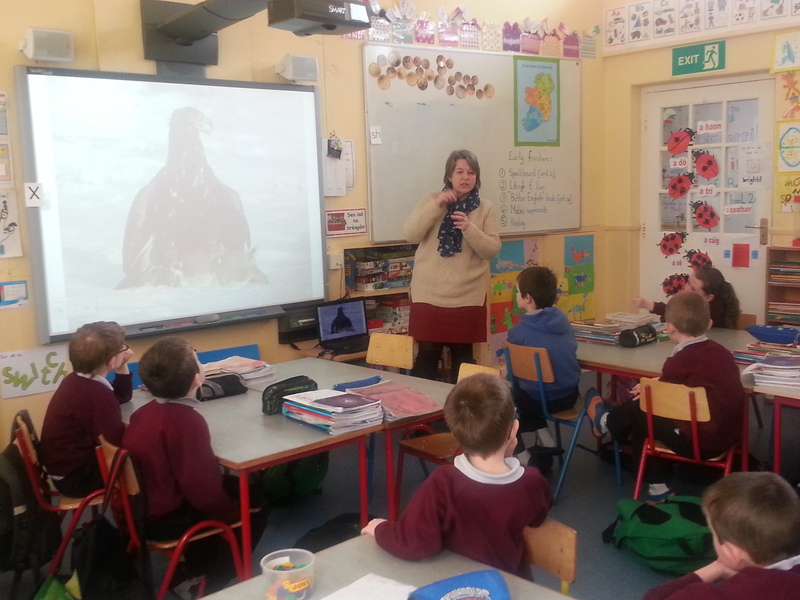 This week, we had a visit from Carol, who travelled all the way from Connemara National Park to talk to us about our native birds. 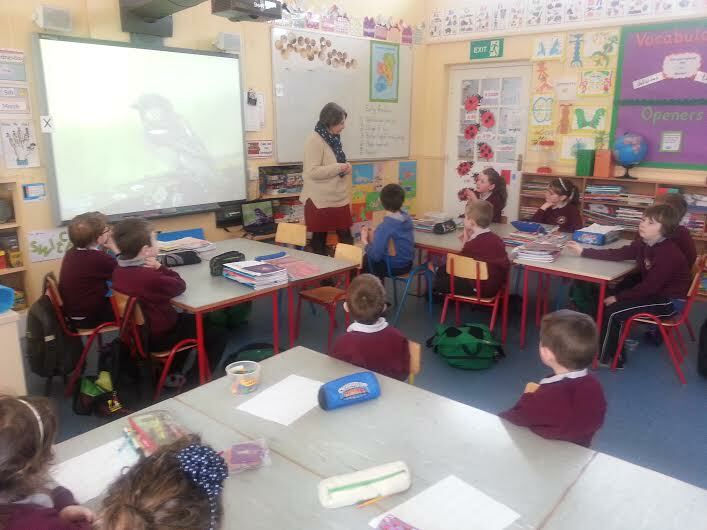 We watched a presentation and learned so many interesting new facts about birds. 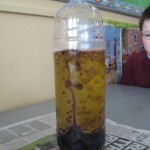 Hopefully we will get an opportunity to visit Connemara National Park this year! 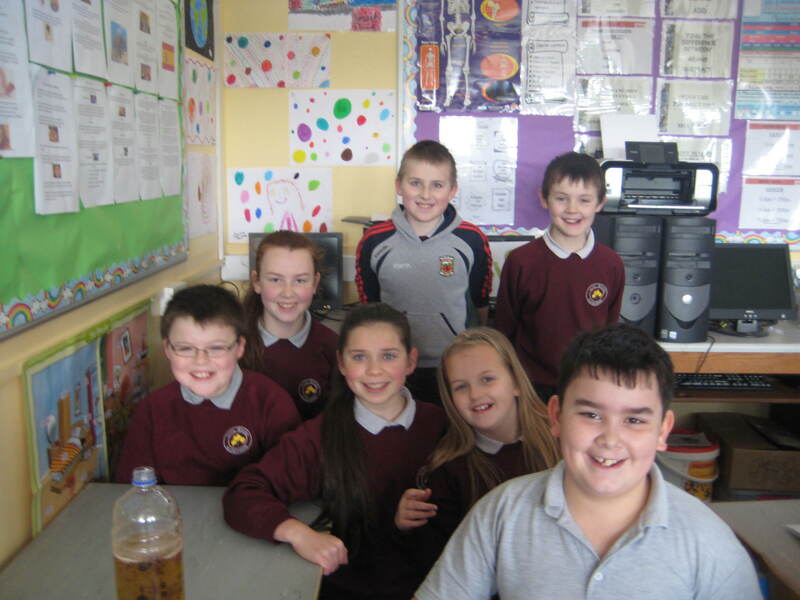 Last week, 3rd, 4th, 5th and 6th class had great fun exploring different chemical reactions in science and observed some exciting results! 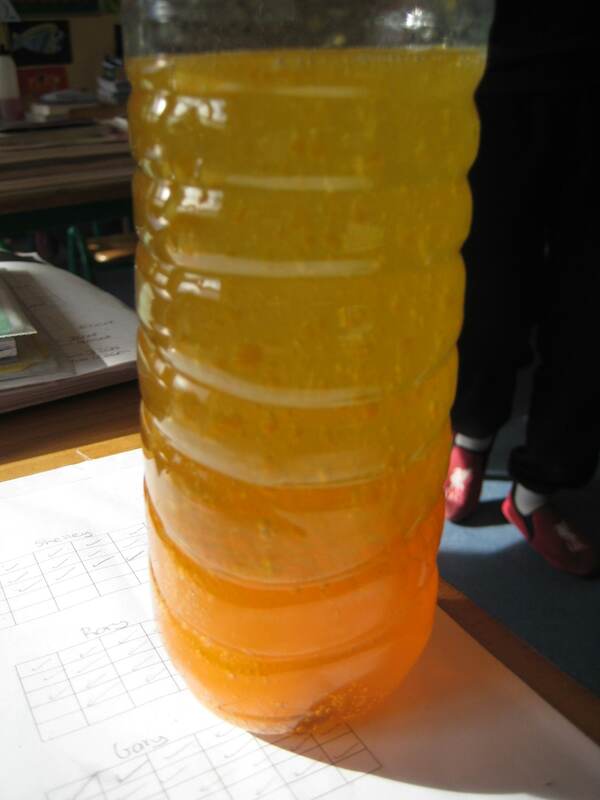 We discovered how to make lava lamps using simple household items such as vegetable oil, food coloring, an Alka-Seltzer tablet and a bottle. 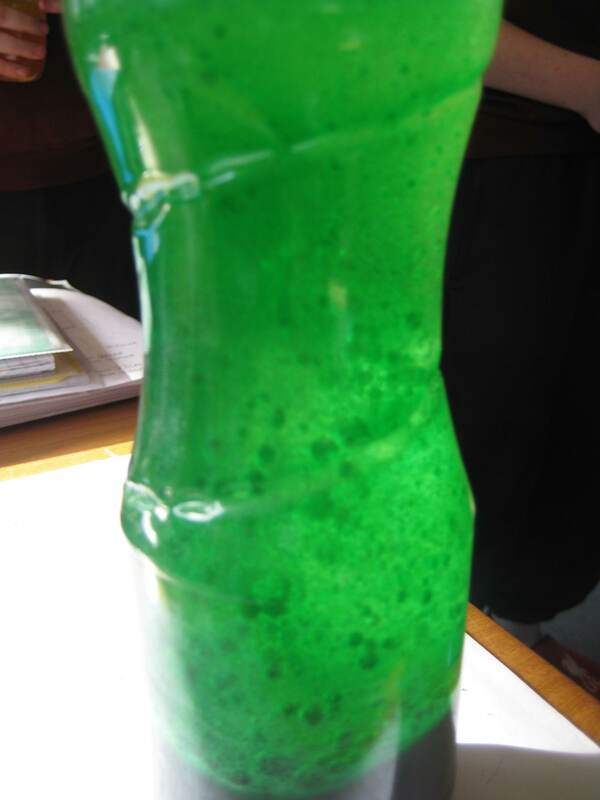 We were able to create fizzing chemical reactions and bubbling balls of color that moved around just like a real lava lamp! 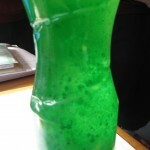 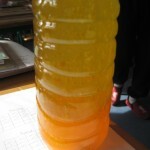 Check out the pictures of our funky lava lamps! 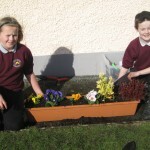 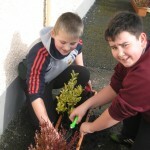 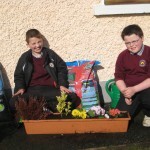 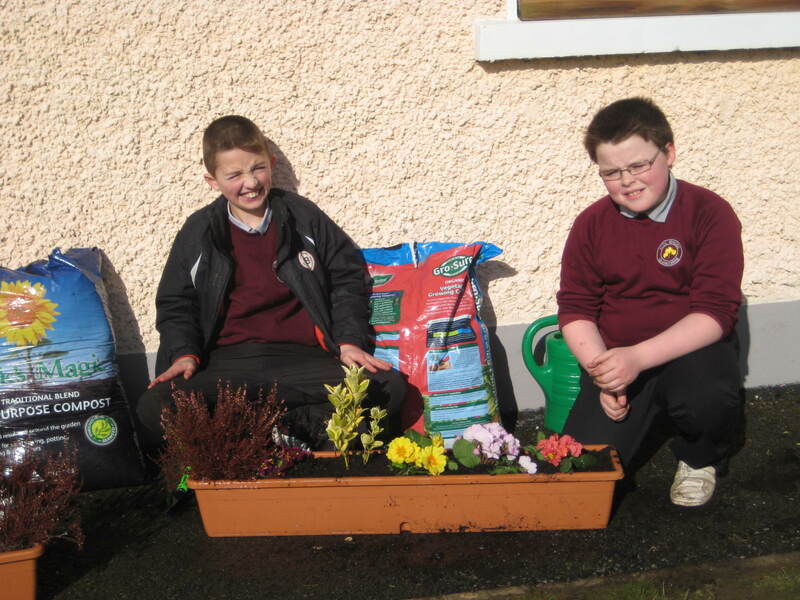 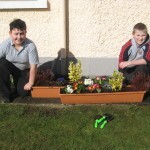 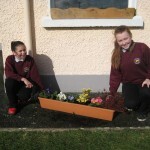 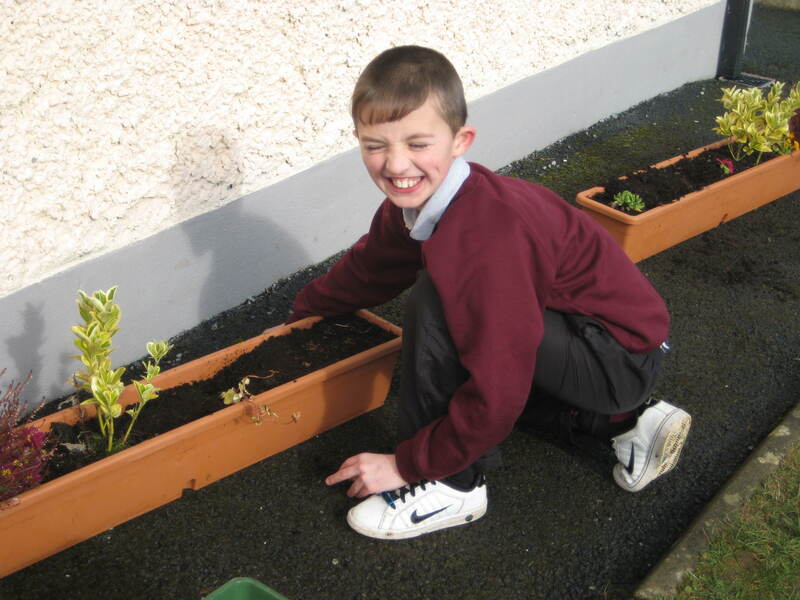 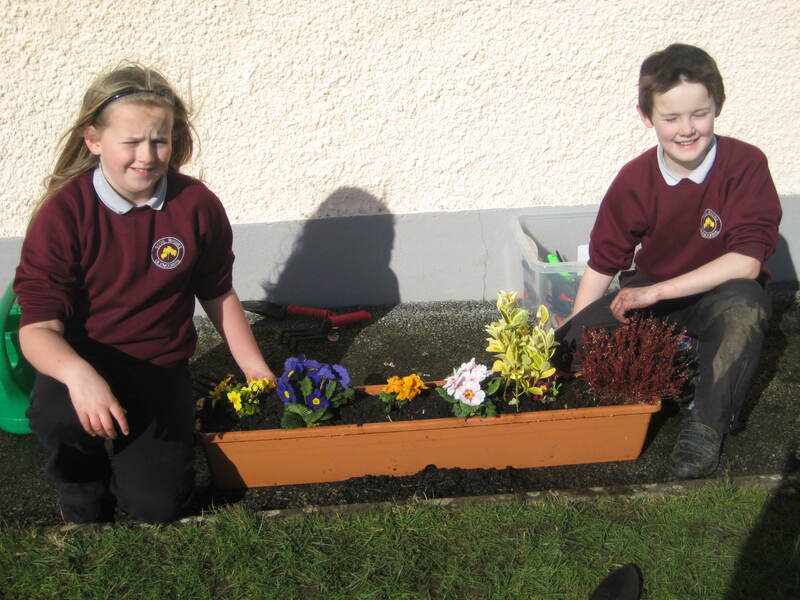 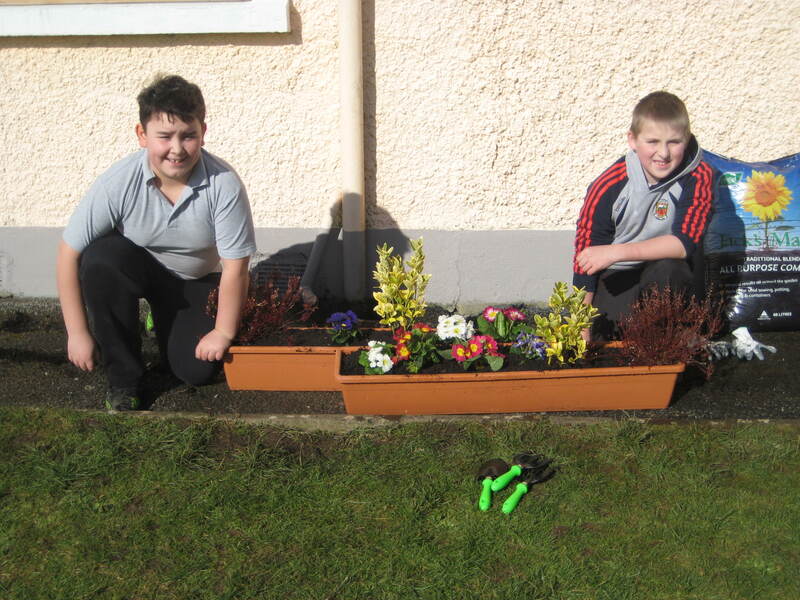 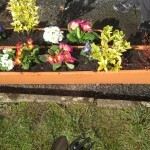 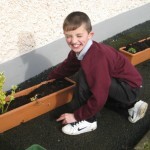 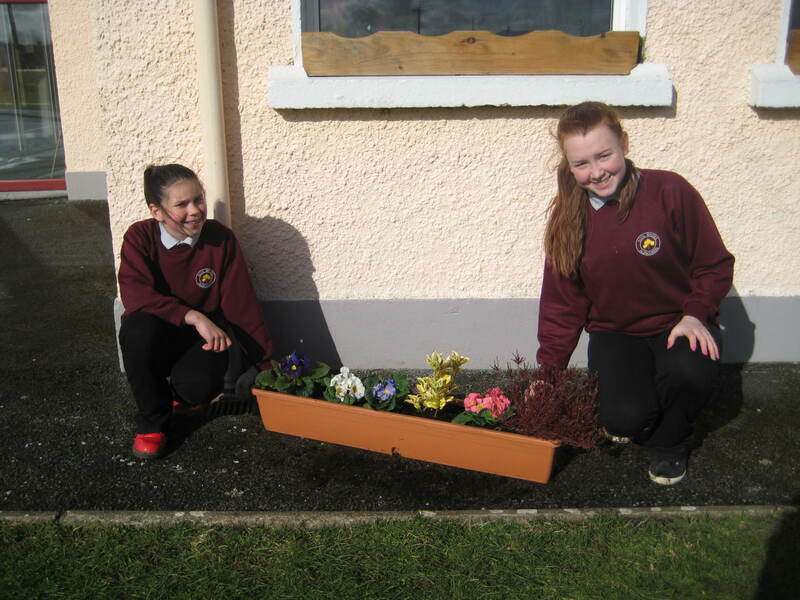 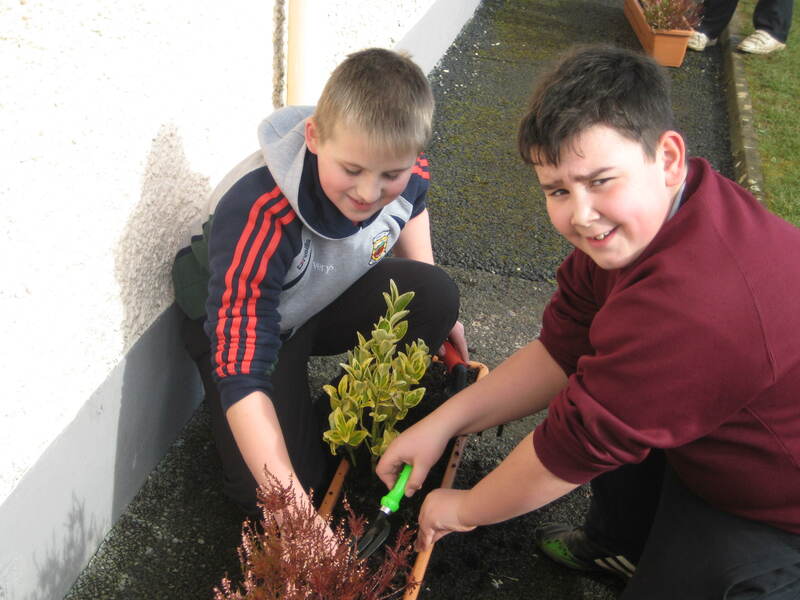 3rd, 4th, 5th and 6th classes have been very busy recently, planting colourful spring flowers in our window boxes. 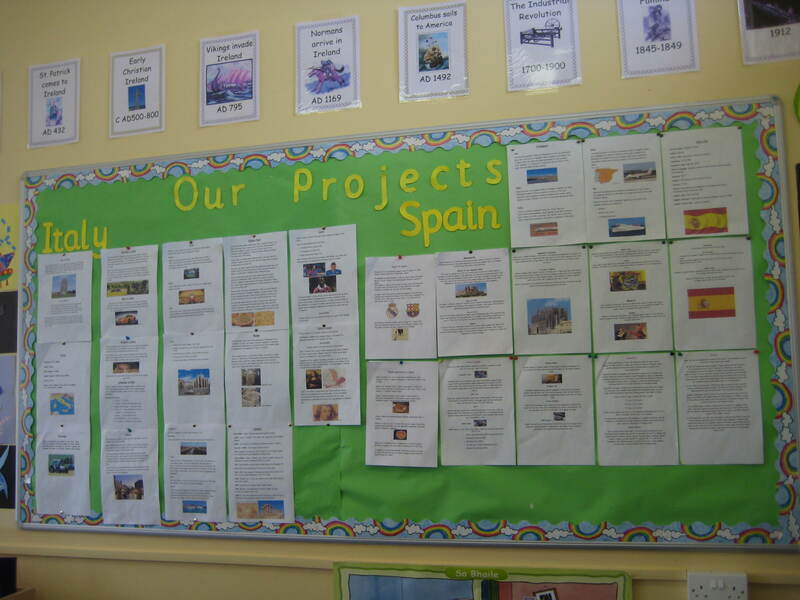 Well done on creating such a beautiful display! 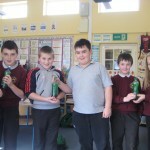 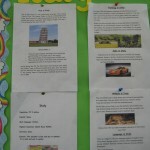 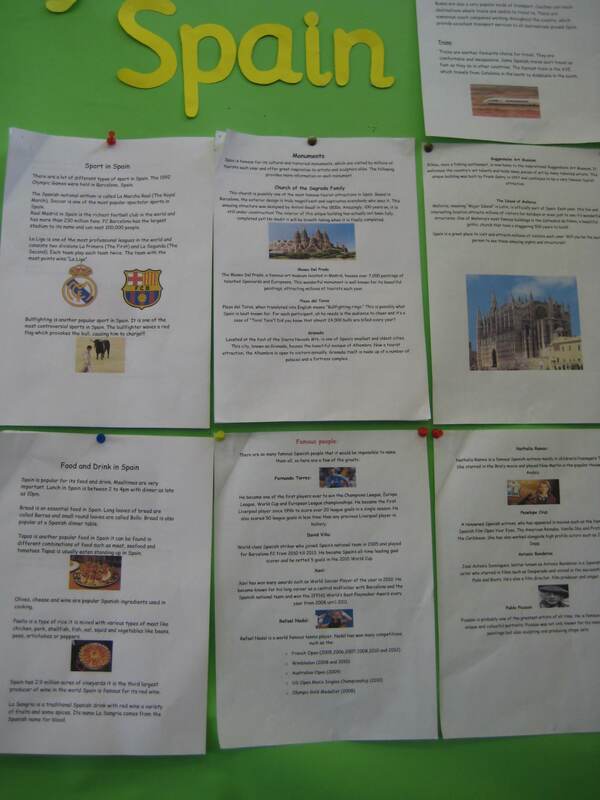 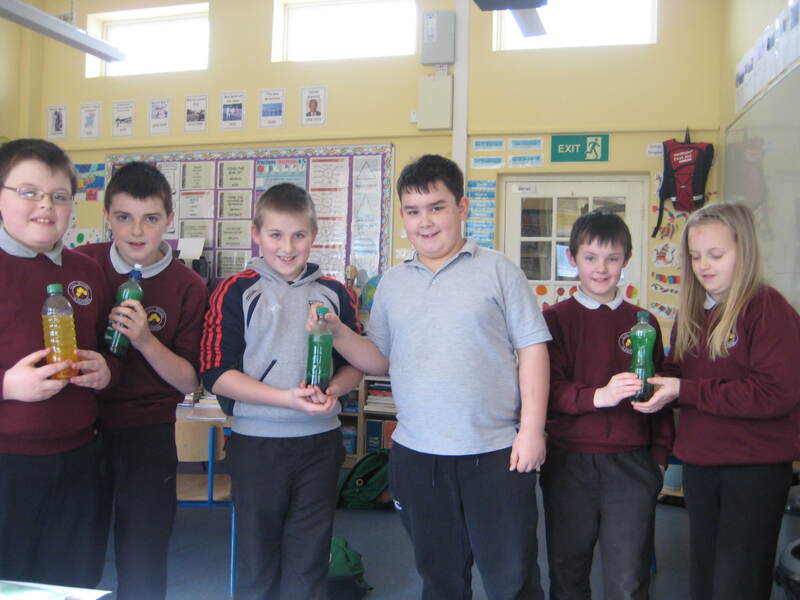 3rd, 4th, 5th and 6th classes recently completed some projects on Italy and Spain. 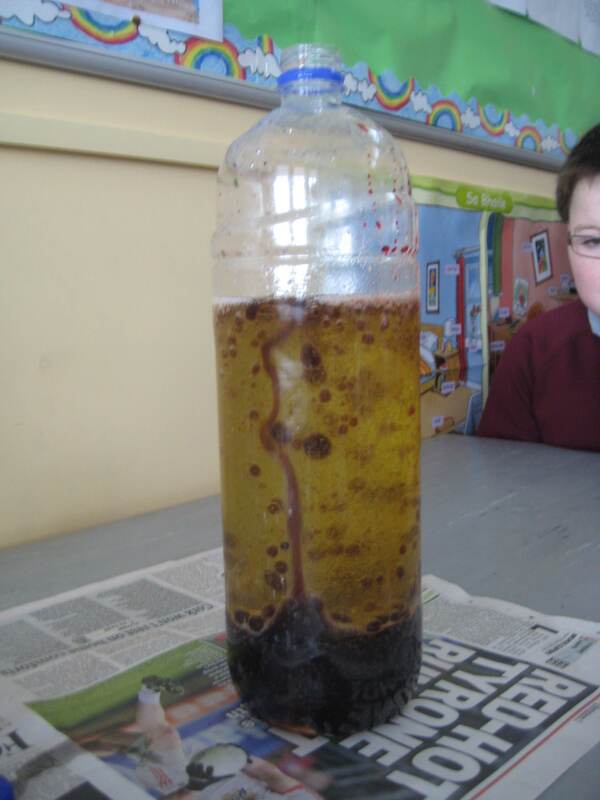 The Italians invented the piano and the thermometer. 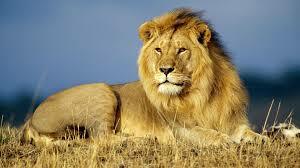 In Spain, about 24,000 bulls are killed each year. 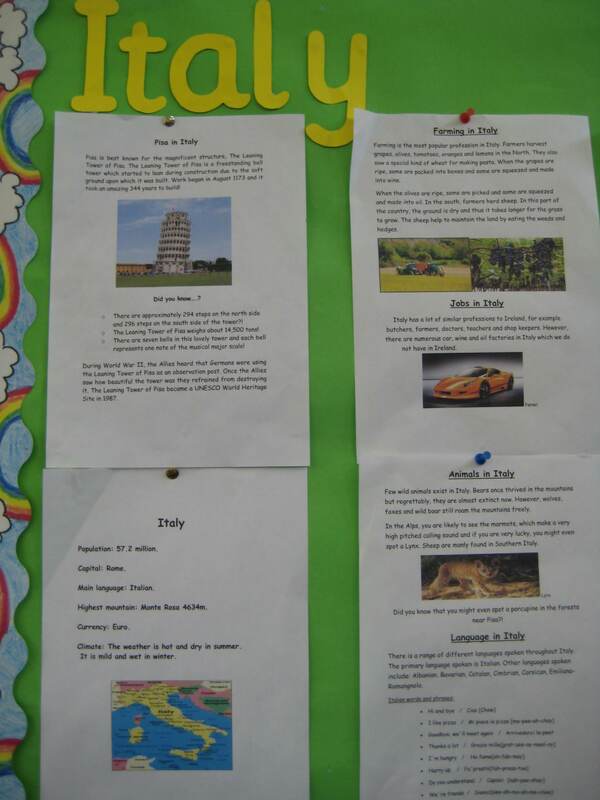 We also improved our I.T skills through online research, typing and editing the projects. 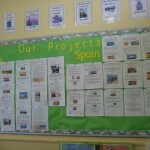 We really enjoyed making our projects and hope to make more soon.